Weather perfect day! High 80's! After a leisurely breakfast of eggs, cheeses, sausages, sweet rolls, and cafe con leche, it was out about town to see the sights. The city at 9:00am was already in full gear. 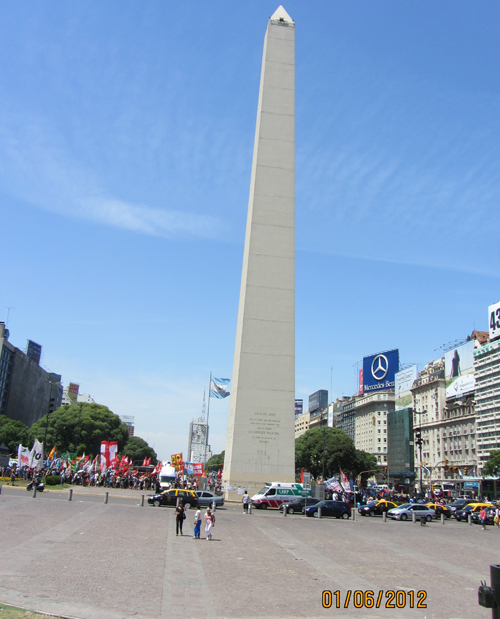 One has to be very cautious when on foot in Argentina. The local drivers yield to no man! If the sign says walk -- well it might not mean at that exact time. Cars, truck, buses, anything with four wheels and a motor take aim at anything without. Where in some lands a hand gesture meaning "stop, I am crossing" actually will get the motorist to slow down -- in Argentina, it is a challenge to the driver to see how fast he can get the pedestrian to run. It is like a game of cat and mouse!! 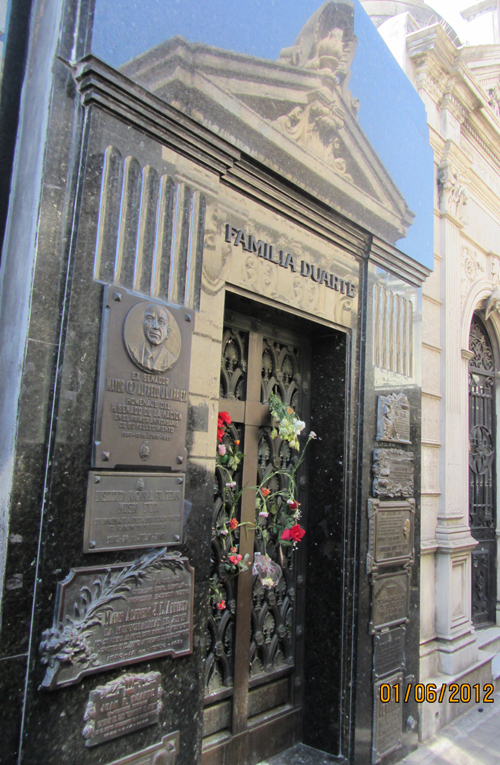 First stop the mausoleum of Eve Peron, which is situated in the cemetery but a short walk down wide boulevard lined with jacaranda trees. 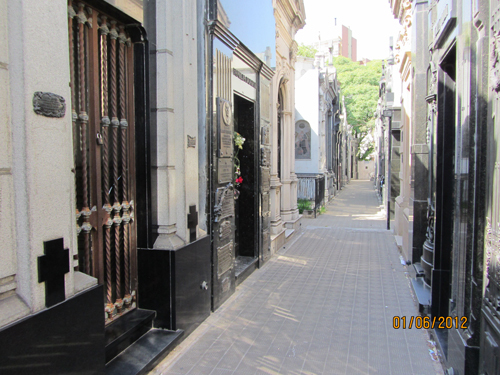 The cemetery is the home of some of the most famous and wealthiest people of the Argentinean past. Generals, presidents, even champion polo players are enshrined in large mausoleums side by side. 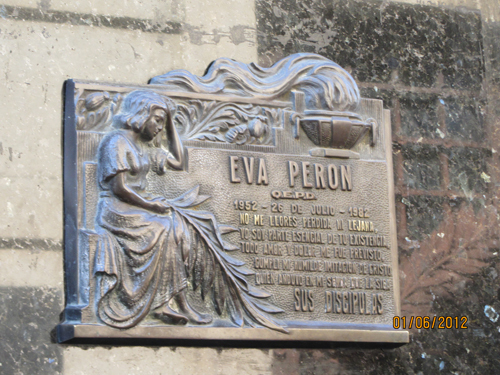 It seems rather ironic that Eve Peron would be buried among those whom she championed so against. 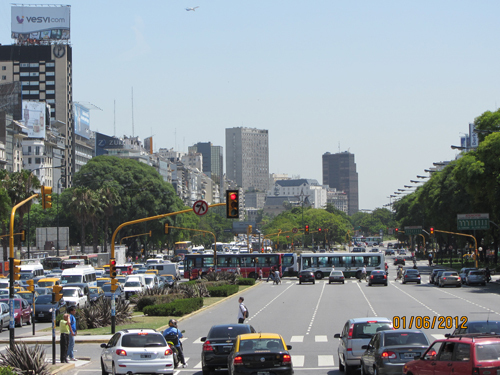 Next a stroll down the Avenue 9 de Julio to the Oblesix . The intersection is very much like Times Square in New York. 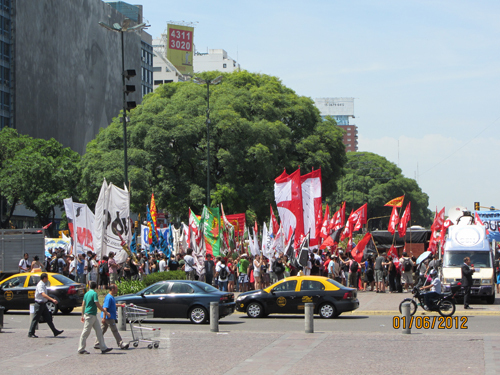 Traffic going in every direction, people busy trying to get somewhere and then there the protesters. Loud techno music playing with people ranting through large speakers about something important, I am sure, but could not understand one word. 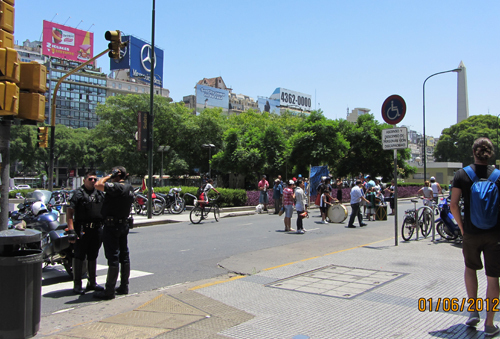 The area is surrounded by riot control police so it makes for a rather unsettling feeling standing among the crowds. Asking a local as to what was happening resulted in a response of "I don't know, they do this every day". Guess overkill gets the point lost after time!! 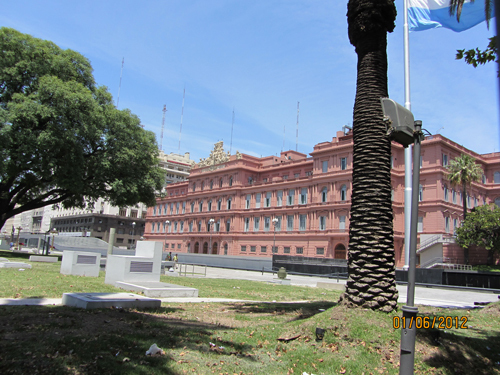 Pink President's Palace at Plaza de Mayo stands out from afar with its large Argentina flag waving in front. 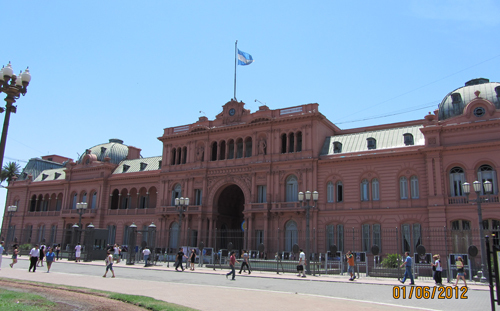 It was from the balcony of this building that the legend has it that Eve Peron utters those famous words, "Don't cry for me Argentina!". 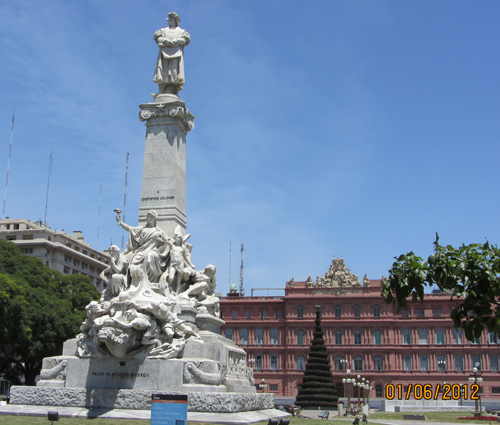 And of course, who should be standing guard in the garden, but none other that Christopher Columbus! And another group of protesters. Drummers this time leading a parade down a busy street. Tonight the group meets each other for the first time. Tomorrow early it is the four hour flight to Ushuaia and the National Geographic Explorer icebreaker waiting patiently in the harbour for us. From 85 degrees to 40 in just a few hours of flying! !